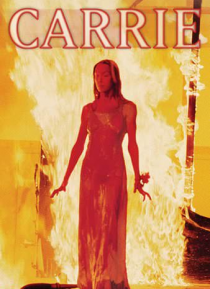 Based on a Stephen King novel, Carrie is the story of a girl brought up, almost in isolation, by her psychotically religious mother Margaret. After an embarrassing incident causes her fellow pupils to tease Carrie ruthlessly, her teacher disciplines the students severely. Determined to seek revenge, the students hatch a plot against Carrie, which turns horribly wrong when Carrie's strange mental p… owers are unleashed during the school prom.